Creativity comes in handy, sometimes unexpectedly. 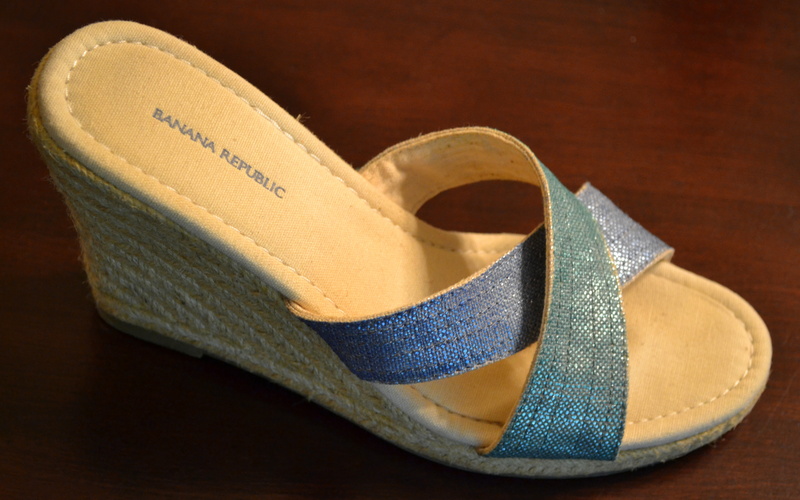 I recently brought home a pair of wedge sandals with metallic khaki straps. Although I’d loved them in the store, the novelty soon wore off. Rather than bring them back, however, I decided to turn them into an art project. 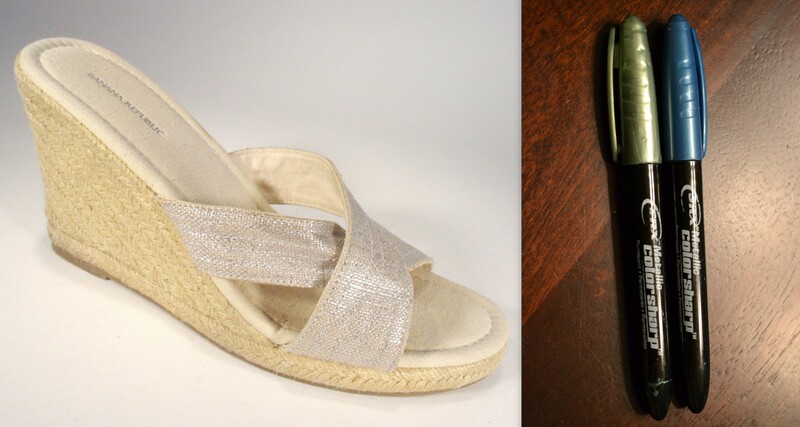 The following images demonstrate how a pair of wedge sandals might go from blasé to rather funky. VOILA! Creativity plus fashion equals a fun wardrobe. Drab to fab! I might need to take a page from you book. Here she is Heidi! I love how you turned these sandals into an art piece! Now you know you’re going to have to charge your collectors quadruple what you paid for them! Lol. These really look great, Gina Marie. I honestly don’t think I would have the guts to try this – yet your outcome looks fabulous! Thank you, Patricia! Sometimes it works, other times not so much. I once ruined a gorgeous pair of cowboy boots by covering them in a layer of gaudy gold acrylic. So I take the successes when they come — ha. Lovely! 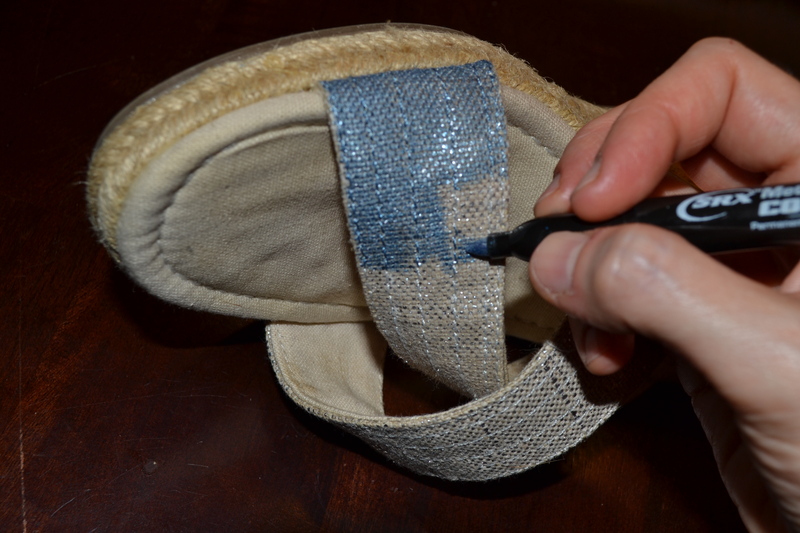 How creative….you created an adorable pair of sandals out of this canvas!